The President of the United States will host the annual White House Easter Egg Roll on Monday, April 9, 2012. Obviously, President Obama wants only the best for his guests. Therefore, he’s hired Willow Tree, a family owned business from Attleboro, Massachusetts to serve their famous chicken salad at this prestigious White House event. While hearing about this prized dish makes you want to go all the way to Attleboro, Massachusetts just to try Willow Tree’s chicken salad, learning Starbucks’ key ingredient in their Strawberry Frappuccino may make you rethink your coffee store of choice. One would assume the red coloring of the Strawberry Frappuccino would be from the strawberries. Unfortunately, that’s apparently not the case. Starbucks uses cochineal, a red extract made from dried out cochineal bugs. Starbucks says they want to move away from artificial ingredients. While this is a nice sentiment, the thought of drinking something that has crushed up bugs in it is a huge turn-off for me. 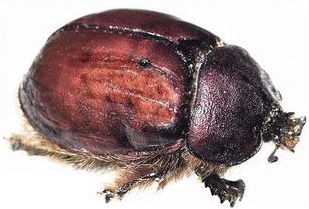 While the FDA has announced cochineal as safe for consumption, one wonders what the Phantom Gourmet would have to say on the subject. For those of you who aren’t from New England and have never heard of the Phantom Gourmet (or for those of you who are from New England yet haven’t heard of him), the Phantom Gourmet is a mysterious food critic who visits restaurants all around New England and provides the public with reviews. The company was founded by the Andelman brothers, Dave, Dan, and Mike. These three, together with twelve others, make up the Phantom Gourmet team. The only mystery man is the Phantom himself; his identity has been kept a secret since 1993. Thanks to the Phantom Gourmet team, Massachusetts passed its Restaurant Rejuvenation Act, which states that restaurants are allowed to serve alcohol Sunday at 10 AM. They then went on to form the Restaurant and BusinessAlliance, a state-wide trade association meant to give restaurants and businesses a strong voice in government and media. Check out the Phantom Gourmet’s website, where you can find all you need to know about him, the various restaurants he’s visited, and any upcoming events. You can watch the Phantom Gourmet on television. In the greater Boston area on Saturdays and Sundays, 10:30 and 11:00 AM, in Maine, on Sundays at 11:00 AM, and in Rhode Island at 10:00 AM on Sundays. The show is also live on the radio, on station 96.9 FM on Saturdays from 4 to 7 PM.